Vimex is a leader in delivering cost effective circuit board components to manufacturing companies around the globe. Browse through this web site to get a glimpse of the solutions Vimex offers. This is not intended to be a complete list of our capabilities. We welcome your call or e-mail. 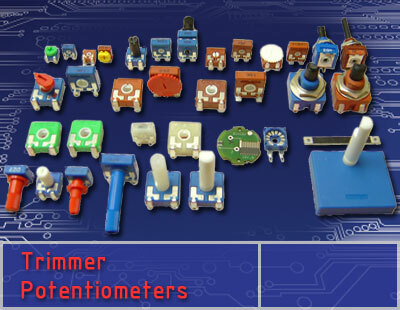 Trimmer Potentiometers, Control Potentiometers, Switches, Connectors, Jacks, Plugs, Sockets and LED's are only clicks away.